Among America’s younger generations, especially the neophyte voters, being affiliated with the Republican Party seems to be rare. This may be for a couple of reasons, which all go back to a core problem that the Grand Old Party is attempting to tackle in 2016. Young GOP affiliates may be quiet supporters and don’t necessarily advertise their link to the party. Perhaps not as many 18-21-year-olds like the party or its platform, as a 2014 Gallup poll indicated. With the fact that most young voters identify as independent during their first years, this trend goes plummeting as the age of voters increases. The amount of Republican voters from ages 19-34 is about 20 percent. Only when age increases to about 70 or above does the Republican affiliation rise above the Democratic affiliation. This leads back to a major stigma society tends to hold of the Republican Party: the idea that it is old-fashioned, and thus works for the interests of older generations. While the Republican Party is still lacking a definite consolidated list of 2016 presidential candidates, after former Massachusetts Gov. 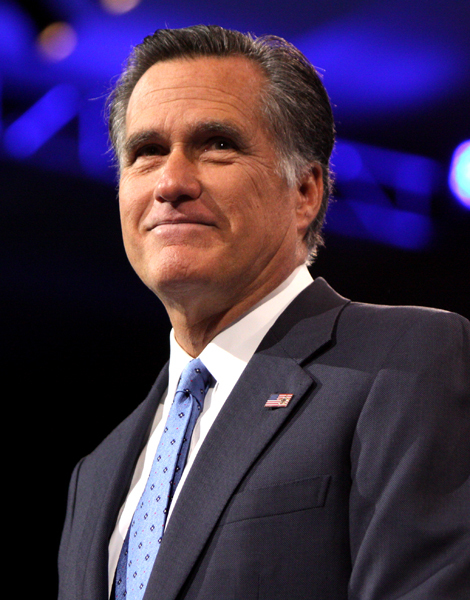 and 2012 presidential nominee Mitt Romney announced that he would not run again, the list of possible GOP contenders shifted to significantly younger in age. The Week’s Paul Waldman looked at some of the most prominent potential picks for the GOP in the presidential election, and all of them are younger than Republican candidates have been in the past. U.S. Sen. Marco Rubio and Louisiana Gov. Bobby Jindal, both 43, U.S. Sen. Ted Cruz, 44, and Wisconsin Gov. Scott Walker, 47, all fit a significantly younger demographic in the history of GOP candidates. They do not fall very far behind the United States’ youngest presidents, Theodore Roosevelt and John F. Kennedy, who were 42 and 43 when they took office, respectively. Perhaps the Republican Party is beginning to change the way it faces elections. I am all for the idea that a presidential candidate should have a great set of political experience coming into the job, which generally requires more life experience as well. Presidential candidates who are older have some important qualities for the position of Commander-in-Chief, and they are by no means necessarily poor choices because of their age. In his presidential campaign, former U.S. President Bill Clinton stated of opponent Bob Dole, 23 years his senior, “I don’t think Senator Dole is too old to be president. It’s the age of his ideas that I question.” Many older Republican candidates also appeal to older generations of voters because of their traditionally more-conservative views, both financially and socially. According to the same Gallup graphic, from age 69 and beyond, Independent affiliation continues to decrease, and Republican affiliation increases at a similar rate, while Democratic identification remains relatively constant. This is the rejuvenation that the Republican Party needs to win the presidency. Waldman’s article immediately articulates that the GOP will not get any “cooler” by presenting “unwrinkled faces” against Democratic opposition. Despite 2014’s Republican takeover of U.S. Congress, nothing is set in stone for the 2016 presidency. If the GOP wants to win the White House, the Republican Party needs to connect to younger demographics, while also maintaining traditional party values. The party does not necessarily need to change its platform just to attract a generally more liberal demographic of young voters. In fact, making policies more moderate could actually hurt Republican success. As a new voter, I want parties to reach out to me. One of the biggest causes for the low voter turnout in America is lack of interest and the feeling that political candidates don’t represent the voters who put them in office. Obama successfully used social media and launched a great campaign for the young voters of America. It is highly important to remain loyal to the interests of older Americans, but it is also important to configure a party’s strategy to target the upcoming generations of voters who will decide the outcomes of elections in the future. Will having young nominees as the faces of the 2016 Republican bid for president win the election, or make the party “cooler” to be a part of? Probably not. However, the move toward elevating such fresh faces indicates a change in strategy for the GOP in the coming years, a much-needed break from traditional campaign tactics.